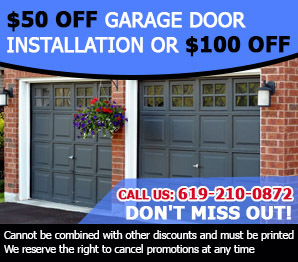 The high quality of our garage door repair services is the result of our dedication, experience and knowledge. With trained technicians and the most cutting edge technology equipment in California, we guarantee great solutions, maintenance and garage door installation. In San Diego County, GARAGE DOOR CO VISTA, CA is the most trusted company when it comes to all garage door services. To make sure that our customers are satisfied with our service, we do the job right at the highest level of quality. We have been able to keep our reputation for excellent service, expert staffs, quality products; best value deals well trained technicians and great after sales service. Through the years, we have been able to gain the trust of the community and we plan to continue providing excellent and reliable service to our clients. This is a guarantee that we will honor and uphold. We keep adequate stocks of all types of garage doors to make sure that we are able to provide you with the door of your preference. This includes doors manufactured by Genie, Chamberlain, Liftmaster, Skylink and Clopay. We have them in different materials like aluminum, steel, wood, and even glass doors. Our knowledgeable and friendly staff will be more than happy to help you compare each door so that we can help you find one that suits your needs and style preference. For many years, our goal has always been customer satisfaction because of this we let all our staff and technicians go through continuous trainings on related processes and products so that they will be able to address all our client’s questions and perform their tasks well. A+ service has always been our goal and we do this by providing quality service at all times. We are proud to employ the most proficient and highly skilled technicians in the area who are adept at handling the toughest jobs. We are licensed to perform installations and repairs and you are assured that you will get quality workmanship each time, no matter how simple or complex a job may be. Most importantly, we are fully insured so in the event of an accident, you do not need to worry about a single thing. Understanding the importance of time and the different priorities of our customers, we are open 24hours a day to provide emergency assistance or same day service requests. Call our office anytime and our friendly staff will attend to you right away. Whether it is a regular service call, same day service, or emergency assistance request, we will come to our aid in no time. You can also visit our office so you can see the products that we carry before deciding which one to purchase. 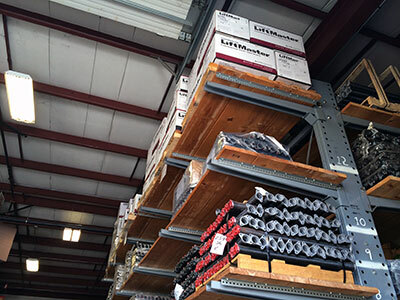 The typical Craftsman garage door opener has an AC motor, but some of the brand's newer models come with a DC one, which typically uses less energy and makes less noise. A chain drive device requires lubrication maintenance, but the chain has great durability. A belt drive model is quieter. The major hardware parts including rail and trolley are made from galvanized steel to be resistant to rust and corrosion. Battery backup is an optional feature available with the DC openers of the brand and designed to provide for uninterrupted operation during power outages. AssureLink enables you to monitor and run the opener remotely using a device connected to the internet. The main types of accessories include remote controls, wall consoles with a range of functions and keypads for entry without a clicker. Our professional garage door company services all openers of the brand. Why do you need the services of professionals to install, maintain and repair your garage door? Questions abound as to why we need to enlist the services of properly trained individuals to install service and even repair our garage doors. While there are aspects of a garage door that we can repair by ourselves, more complex repairs require the attention of professionals who have the expertise, knowledge and skills. What are the reasons of installing a garage door? It is not usual to come across a home in Vista, California that does not have a garage door. Why then does everyone feel that it is good to have garage doors? 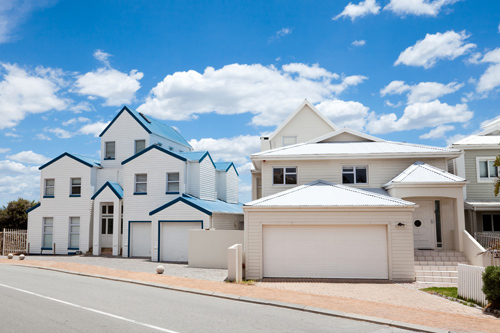 The first reason why is good to have a garage door is because it safeguards our belongings.